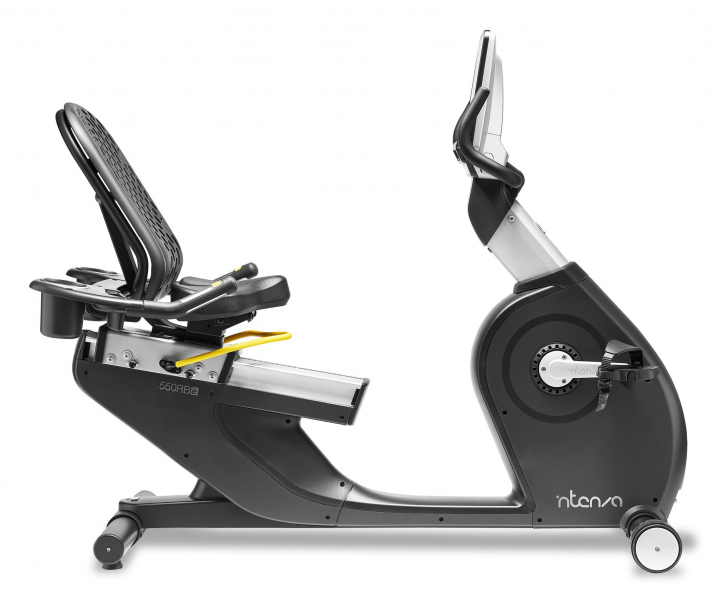 Ergonomic saddle is comfortable and supportive during even the most rigorous workouts Incremental seat adjustment allows exercisers of heights from 4’9” (147cm) to 6’5” (193cm) to achieve optimal knee positioning. Programs	 Six preset programs: Hill, Interval, Weight Loss, Cross Train, Step by Step, and Strength. Three target programs: Time (10-99 minutes), Distance (1-99 km), or Calories (10-2500 cals). 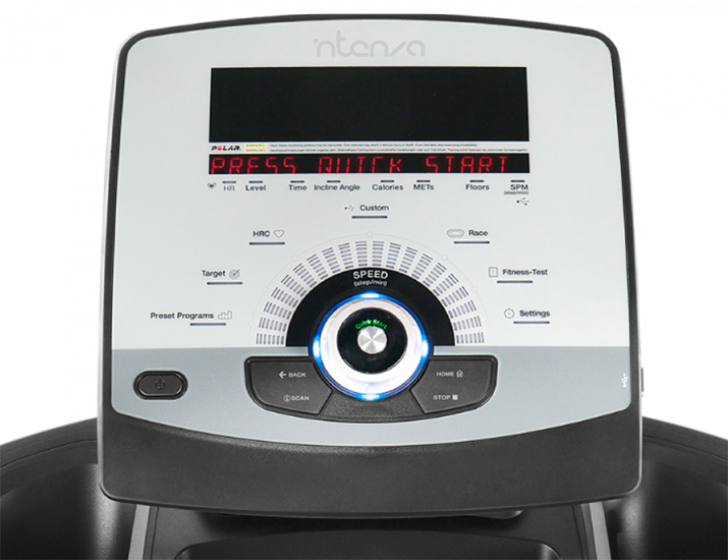 Four heart rate control programs in constant power mode: Constant HRC, Interval HRC, Hill HRC, Cardio HRC QuickStart option Choose between kilometers and miles. Frame	 Low cross over design allows for ease of getting on and off the bike. Aluminum components create visual appeal and durability against corrosion. Pedals	 Ergonomic oversized pedals with grip and integrated straps for quick adjustments and pedaling comfort . 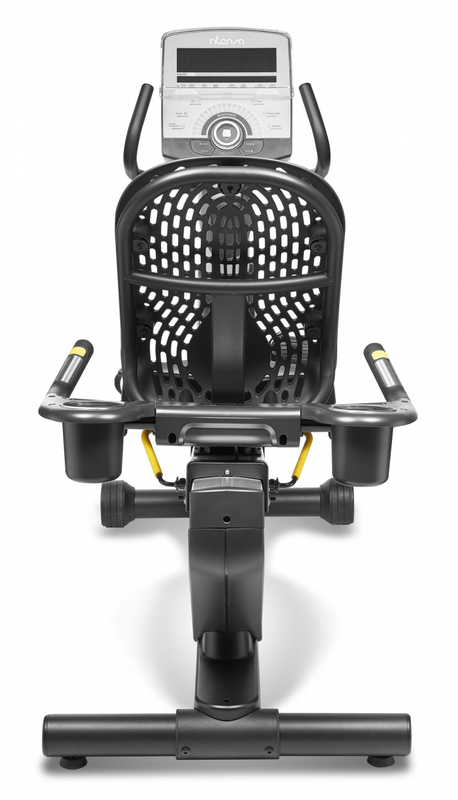 Seat	 Intenza bike seats are designed to adjust easily using only one hand, left or right, in a seated position, for a refreshingly comfortable exercise experience. Handrails	 Ergonomically designed handlebar with integrated elbow support for maximum comfort in racing position.